Johnny Depp could be imprisoned for 10 years after smuggling his dogs into Australia. The 51-year-old, who was Down Under filming Pirates of the Caribbean: Dead Men Tell No Tales, brought his Yorkshire Terriers Boo and Pistol with him to the country without declaring them. 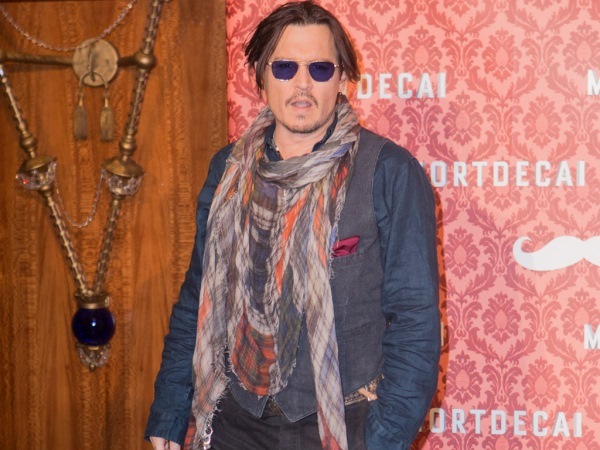 Although the dogs were put on a plane back to their home in America earlier this month, according to The Sydney Morning Herald Johnny’s legal saga is far from over. The newspaper claims the actor could find himself either in prison for 10 years or paying a maximum fine of $340,000 (R4 million) for bringing his pooches into Australia illegally. A senate committee hearing in Canberra addressed the high-profile animal smuggling case on Monday afternoon. The publication reports during the discussion some public servants were dismayed over the matter, calling Johnny’s decision not to declare the dogs a “very serious” threat to public health. Although the pooches are no longer in the nation, apparently committee members thought the fact that no security official picked up on the presence of the animals constituted “a complete balls up” in terms of effective policy enforcement. The pilot who transported Johnny’s dogs from the United States to Oz could also be put behind bars for up to two years. Australian Agriculture Minister Barnaby Joyce, who threatened to euthanise the pets if they weren’t removed from the country, previously claimed authorities caught wind of the situation when Johnny was getting their fur maintained at a doggy salon. "He has decided to bring in to our nation two dogs without actually getting the proper certification and proper permits required. It basically looks like he snuck them in," Minister Joyce told reporters, according to 612 ABC Brisbane. All foreign animals must be placed in quarantine for a while after entering Australian borders. Johnny left Oz Monday night, catching a flight home from the Gold Coast.